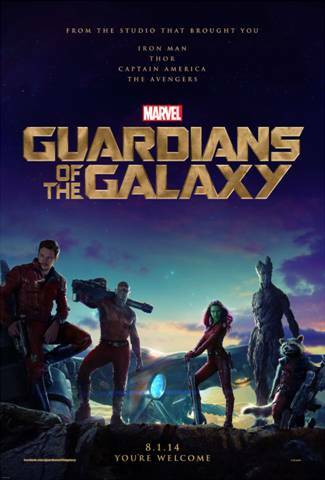 On August 1, 2014 the Guardians of the Galaxy will be joining the Marvel Universe that includes blockbusters like The Avengers, Captain America and Iron Man. Did you know that Iron Man has run with the Guardians in the comics and they have an ally in Nova as well? With friends like that I can’t see why people do not know who the Guardians are. But sadly, many people do not know the story of these heroes. So, I have some videos below so you can get to know each of the members of the Guardians of the Galaxy team. Here is the official first trailer for the Guardians of the Galaxy. Looks Great, doesn’t it! Now let’s meet the team on an individual basis. Rocket Raccoon – Voiced by Bradley Cooper. He is a genetically altered alien species that just happens to look like a raccoon, just don’t call him one. He doesn’t like it and he has a very big gun. Groot – Voiced by Vin Diesel. Groot is the most deadly of the group yet the most innocent. He is a tree-like humanoid and the accomplice of Rocket. Gamora – Zoe Saldana plays Gamora who is a very beautiful and deadly warrior. Hers is a journey of redemption. Drax – Dave Bautista plays Drax the Destroyer who is fueled by revenge on those who killed his family, destroyed his home world and left him for dead. Peter Quill – Chris Pratt plays the leader of the Guardians. He was abducted by aliens as a boy in the 80s. He had a tough time as a kid and is now sees himself as a rogue and wants people to call him Star Lord. Does he have what it takes to be the hero that he truly wants to be?